Miljković with Serbia during World League in July 2009. Ivan Miljković (Serbian Cyrillic : Иван Миљковићpronounced [ǐv̞an mǐːʎkɔv̞it͡͡ɕ] ; born September 13, 1979) is a Serbian volleyball player, a member of Serbia men's national volleyball team in 1998–2012, Beijing 2008), Olympic Champion 2000, European Champion (2001, 2011), medalist of World Championship, World Grand Champions Cup, World Cup and World League. The Serbian Cyrillic alphabet is an adaptation of the Cyrillic script for Serbo-Croatian, developed in 1818 by Serbian linguist Vuk Karadžić. It is one of the two alphabets used to write standard modern Serbian, Bosnian and Montenegrin, the other being Latin. In Croatian, only the Latin alphabet is used. The Serbia men's national volleyball team is the national team of Serbia. FIVB considers Serbia the inheritor of the records of SFR Yugoslavia (1948–1991) and Serbia and Montenegro (1992–2006). Serbia won gold at the Summer Olympics in Sydney, Australia and bronze at the 1996 Summer Olympics in Atlanta. After this success he changed his club and started playing for Italian Lube Banca Macerata. In 2001 the Yugoslav team won the European Volleyball Championship  in Ostrava, Czech Republic. With his club, Lube Banca Macerata, he also won the Champions League (2001), twice the Italian Cup (2001, 2003) and three times the CEV Cup (2001, 2005, 2006). The Men's European Volleyball Championship (EuroVolley) is the official competition for senior men's national volleyball teams of Europe, organized by the European Volleyball Confederation (CEV). The initial gap between championships was variable, but since 1975 they have been awarded every two years. The current champion is Russia, which won its fourteenth title at the 2017 tournament in Poland. Ostrava is a city in the north-east of the Czech Republic and is the capital of the Moravian-Silesian Region. It is 15 km (9 mi) from the border with Poland, at the meeting point of four rivers: the Odra, Opava, Ostravice and Lučina. In terms of both population and area Ostrava is the third largest city in the Czech Republic, the second largest city in Moravia, and the largest city in Czech Silesia. It straddles the border of the two historic provinces of Moravia and Silesia. The population was around 300,000 in 2013. The wider conurbation – which also includes the towns of Bohumín, Doubrava, Havířov, Karviná, Orlová, Petřvald and Rychvald – is home to about 500,000 people, making it the largest urban area in the Czech Republic apart from the capital, Prague. The Confédération Européenne de Volleyball or CEV is the continental governing body for the sports of volleyball, beach volleyball and snow volleyball in Europe. Its headquarters are located in Luxembourg, Luxembourg. M. Roma Volley is an Italian volleyball club playing in the Italian Volleyball League. The club was founded in 2006. It currently plays in the Italian Serie A1. 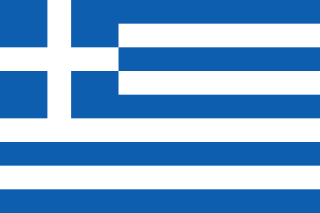 Greece, officially the Hellenic Republic, self-identified and historically known as Hellas, is a country located in Southern and Southeast Europe, with a population of approximately 11 million as of 2016. Athens is the nation's capital and largest city, followed by Thessaloniki. Vladimir "Vanja" Grbić is a former Serbian volleyball player. He is 193 cm and played as passer-side attacker. Grbić was born in Klek in SR Serbia, SFR Yugoslavia. He is Nikola Grbić's brother and member of the Volleyball Hall of Fame. With the national volleyball team of FR Yugoslavia, he won a gold medal in the 2000 Summer Olympics and a bronze medal in 1996 at Atlanta. His international victories include a silver medal in the 1998 World Championship and a gold medal in the 2001 European Championship. Nikola Grbić is a Serbian professional volleyball coach and former player. He has been a member of Yugoslavia in 1995–2003, Serbia and Montenegro in 2003–2006 and Serbia in 2006–2010, gold medalist of the Olympic Games Sydney 2000, bronze medalist of the Olympic Games Atlanta 1996, also participant of the Olympic Games, multimedalist of the World Championships, European Championships and World League, a double Italian Champion, Russian Champion (2014), head coach of Serbia men's national volleyball team and Calzedonia Verona. He was named European Player of the Year in 2007 and inducted into the Volleyball Hall of Fame in 2013. Andrija Gerić is a retired Serbian volleyball player who played on middle blocker position. Both in the club and in the national team he wore number 12. Miljković is regularly on the top of the best spikers list in the tournaments and has a great jump serve. He is very well built and extremely strong opposite hitter who has variety of different shots; he can swing the ball away with a power or using his good technique. For an extremely big player Miljković moves surprisingly well. He has a good footwork and is quick from his feet; therefore he is able to generate good speed for his approach from any distance to the ball. The CEV Champions League was the highest level of European club volleyball in the 2001–02 season, was the 43rd edition and was held in Opole, Poland. Associazione Sportiva Volley Lube is a professional volleyball team based in Civitanova Marche, Italy. Since 1995 the club has been playing in the Serie A of the Italian Volleyball League. It won the Italian Championship four times, the Italian Cup five times, and the Italian SuperCup three-times. The 2015–16 CEV Champions League was the highest level of European club volleyball in the season and the 57th edition. 2001 World League "Most Valuable Player"
2001 World League "Best Scorer"
2001 European Championship "Most Valuable Player"
2001 European Championship "Best Scorer"
2001 World Grand Champions Cup "Most Valuable Player"
2001 World Grand Champions Cup "Best Scorer"
2002 Serie A1 League "Most Valuable Player"
2002 World League "Most Valuable Player"
2002 World League "Best Scorer"
2003 World League "Most Valuable Player"
2003 World League "Best Scorer"
2005 World League "Most Valuable Player"
2005 World League "Best Scorer"
2005 World League "Best Server"
2005 European Championship "Best Server"
2005–06 Top Teams Cup "Most Valuable Player"
2005–06 Top Teams Cup "Best Scorer"
2005–06 Top Teams Cup "Best Blocker"
2006 Serie A1 League "Most Valuable Player"
2007 European Championship "Best Scorer"
2007–08 CEV Cup "Best Spiker"
2008 World League "Best Scorer"
2009 World League "Best Scorer"
2009–10 CEV Champions League "Best Scorer"
2011 European Championship "Most Valuable Player"
Serbia's sport Association "May Award"
2013–2014 Challenge Cup "Most Valuable Player"
Katarzyna Ewa Skowrońska-Dolata is a female Polish volleyball player, a member of Poland women's national volleyball team and Italian club Foppapedretti Bergamo, double European Champion, gold medalist of Italian, Turkish, Chinese and Azeri national championships. Yekaterina Aleksandrovna Gamova is a retired Russian volleyball player. She was a member of the national team that won the gold medals at the 2006 and 2010 FIVB Volleyball Women's World Championships, and the silver medal in both the Athens 2004 and Sydney 2000 Olympic Games. She is 2.06 m tall with EU size 49 feet, making her one of the tallest female athletes in the world Her role was outside hitter/opposite. Małgorzata Glinka-Mogentale is a Polish retired volleyball player. She was a member of Poland women's national volleyball team in 1997–2014, a participant of the Olympic Games Beijing 2008, double European Champion, and a gold medalist of Polish, French, Spanish and Turkish national championships. Cristian Savani is an Italian volleyball player, a member of Italy men's national volleyball team in 2001–2013 and Italian club BluVolley Verona, a medalist of the Olympic Games, 2012 Italian Champion, double Chinese Champion. Alessandro Fei is an Italian men's volleyball player, a member of Italy men's national volleyball team and Italian club Ninfa Latina. Fei winner silver and bronze medalist of the Olympic Games, World Champion 1998, European Champion, silver medalist of the European Championship 2001, medalist of the World League, CEV Champions League winner, three-time CEV Cup winner, Challenge Cup winner, four-time Italian Champion. Lyubov Vladimirovna Sokolova is a retired Russian volleyball player. She was a member of the national team that won the gold medals at 2006 and 2010 World Championship in Japan and the silver medals at the 2000 Summer Olympics in Sydney and the 2004 Summer Olympics in Athens. Seda Tokatlıoğlu is a Turkish volleyball player. She is 192 cm tall and plays as an outside spiker. However, she played as an opposite both in Turkey women's national volleyball team and Beijing from China. Tokatlıoğlu has a block height of 304 cm and spike height of 312 cm and played more than 200 times for the national team. She studied at Gazi University. Sebastian Krzysztof Świderski is a former Polish volleyball player, a member of Poland men's national volleyball team in 1996-2011, a participant of the Olympic Games, a silver medalist of the World Championship 2006, three-time Polish Champion, chairman of ZAKSA Kędzierzyn-Koźle since 2015. Nataša Osmokrović is an international Croatian volleyball player who played with Croatia at the 2000 Summer Olympics. Bartosz Kamil Kurek is a Polish volleyball player, a member of Poland men's national volleyball team and Polish club ONICO Warszawa. He was a participant at the Olympic Games, and he is a 2018 World Champion, 2009 European Champion, a gold medalist of the 2012 World League, silver medalist of the 2011 World Cup, bronze medalist of the 2011 World League, 2011 European Championship and 2015 World Cup, three-time Polish Champion and Italian Champion (2014). In 2019, he became the first volleyball player to be voted the Polish Sportspersonality of the Year. Kim Yeon-koung is a South Korean female professional volleyball player. She is the outside Hitter and captain of the South Korea women's national volleyball team, and currently plays for the Turkish team Eczacıbaşı VitrA. Dragan Travica is an Italian volleyball player, a former member of Italy men's national volleyball team and Italian club Kioene Padova, bronze medalist at the 2012 Olympic Games, silver medalist at the European Championship, bronze medalist of the World League and Italian Champion (2012). Tsvetan Sokolov is a Bulgarian volleyball player, a member of Bulgaria men's national volleyball team and Italian club Cucine Lube Civitanova, a participant of the Olympic Games London 2012, bronze medalist of the European Championship 2009. He is a multiple winner of the CEV Champions League and FIVB Volleyball Men's Club World Championship with the Italian club Trentino Volley. During the 2014/2015 European club tournaments volleyball season, Sokolov was the top scorer with 199 points in 10 matches. Marko Podraščanin is a Serbian volleyball player, a member of the Serbian men's national volleyball team and Italian club Sir Safety Perugia, a participant of the Olympic Games, bronze medalist at the World Championship 2010, gold medalist at the 2011 European Championship, two time bronze medalist at the European Championship and the World League. Dragan Stanković is a Serbian volleyball player, a member of Serbian national team and Italian club Cucine Lube Civitanova, a participant of the Olympic Games London 2012, bronze medalist of the World Championship, European Champion 2011, medalist of World League. Aleksandar Atanasijević is a Serbian volleyball player, a member of Serbia men's national volleyball team and Italian club Sir Safety Perugia, a participant of the 2012 Olympic Games, 2011 European Champion, medalist of leagues: Serbian, Polish and Italian. Alen Pajenk is a Slovenian volleyball player, a member of Slovenia men's national volleyball team and Turkish club Fenerbahçe, gold medalist of the European League 2015, silver medalist of the European Championship 2015, three-time Slovenian Champion, Italian Champion (2012). ↑ Milosavljevic, Zoran (February 14, 2008). "Love of volleyball keeps Ivan Miljkovic going". Reuters. Retrieved 2010-06-16. ↑ Big Singing Of Halkbank – Ivan Mijković! ↑ "Serbia and Montenegro Volleyball at the 2000 Sydney Summer Games". Sports Reference LLC. Archived from the original on May 8, 2010. Retrieved 2010-06-16. ↑ "Η χρυσή βίβλος της Volleyleague". volleyleague. Retrieved October 23, 2015. Wikimedia Commons has media related to Ivan Miljković .